When we talk about models that can adorn your room and gadgets through posters, Vision Gran Turismo project is that one name which provides worthy concepts. 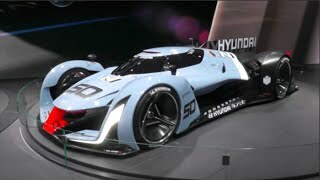 Continuing the legacy of the badge, Hyundai recently unveiled its Hyundai N 2025 Vision GT 2016. Just like the rest of the concepts this one too is simply stunning with its looks however I personally believe having a model with these looks at the 24 Le Mans could have been a treat for both eyes and tracks. 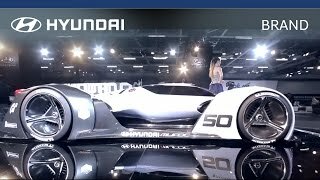 Let us have a descriptive look at the review of Hyundai N 2025 Vision GT 2016 to know in detail about it. We are sorry regarding the interior of Hyundai N 2025 Vision GT 2016 as company has kept the interior details as mystery till date but we do expect some unusual inclusions in the interior of this LMP1 machine. Talking about the general integrations, expect the sportive multifunction steering wheel mounted in front of the racing bucket seats with integrated six-point harness. Also you can expect the dash mounted with some primarily used switches to assist the driver. Undoubtedly the interior has to be driver focused but we still are looking ahead to find the way how company makes these usual integrations unique for their model. After all they a have huge market to compete with. So here talking about the interior of Hyundai N 2025 Vision GT 2016 all I would say, let us wait with fingers crossed and expect the unexpected. 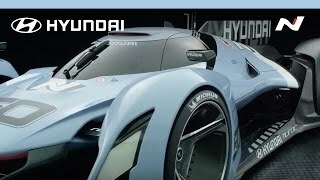 The exterior of Hyundai N 2025 Vision GT 2016 at first glance might make you presume that it is the company’s model for the coming 24 hours Le Mans but this isn’t the reality. The model has those bulky looking light-weight wheels housed beneath the massive muscular wheel arches. The front is adorned with a sharp nose while the fender comes mounted with side mirrors. The model comes integrated with an aviation inspired canopy accompanied my huge fins marching their way till the rear end. 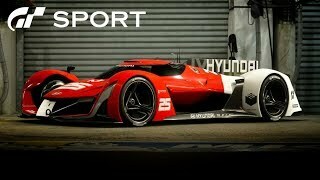 In all for the exterior details of Hyundai N 2025 Vision GT 2016 I would say it is a general amalgamation of features that we can expect from a sportive model. Nothing much has been shared in context to the powertrain of Hyundai N 2025 Vision GT 2016 but yes the ‘world’s first mass-produced fuel cell system’ (as said by Hyundai) will generate the total output of 871 hp. 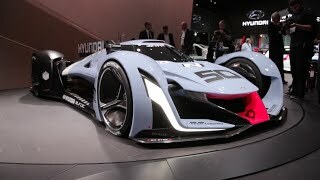 The power so generated by the engine of Hyundai N 2025 Vision GT 2016 is amalgamation of one coming from fuel cell stacks (671 hp) and from capacitor system (201 hp).